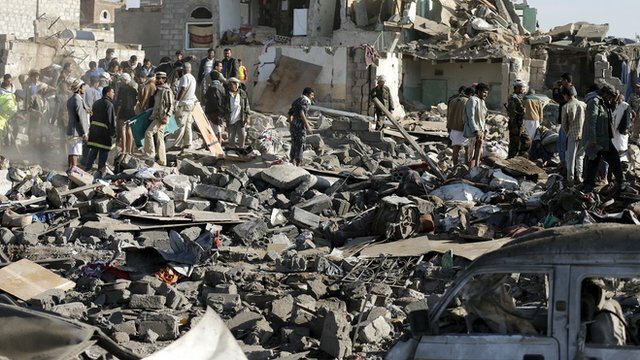 Another Shiite mosque was bombed in Sunni-dominated Saudi Arabia on May 29, as Saudi airstrikes continued against Yemen. 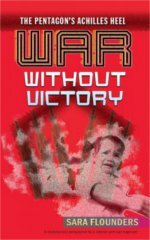 The war in Yemen is over whether the people of that country, the most underdeveloped in the region, can achieve and maintain their right to self-determination and sovereignty. The fighting began after the Ansurallah, also known as the Houthis, rebelled against the regime of Yemeni President Abd-Rabbu Hadi in late March. Hadi left the country and sought support from the monarchy of Saudi Arabia and the generals now running Egypt, both of whom are major U.S. military clients in the region. U.S. government designs to control the Yemeni people, along with their land and waterways, have been a focus of Washington and Wall Street for many years. The withdrawal from Yemen in March of Pentagon Special Forces and State Department personnel preceded aggressive military actions on the part of the Saudi Arabian and Gulf Cooperation Council regimes, which take their foreign policy initiative from imperialism. On May 31, aircraft from the Saudi-GCC alliance struck Yemeni positions throughout the country, according to people on the ground. Aerial bombardments hit what was said to have been an air base near Sanaa airport and a military outpost supposedly working with the Ansurallah. The Yemeni television network al-Masira, which is allied with the Houthi movement, said the Saudi-GCC coalition carried out 25 bombing missions in the northwest provinces of Saada and Hajja, very close to the border with Saudi Arabia. Additional reports said Saudi ground forces were shelling the same areas. People living in Saada told Reuters press agency May 31 that territory held by the Ansurallah was bombed intensively by war planes. There were also renewed heavy artillery clashes along Yemen’s border with Saudi Arabia, as the war entered an even more deadly and protracted phase. In the central Yemeni city of Taiz, which has been a major center of armed struggle between the Saudi-backed Hadi militias and the Ansurallah, Saudi-led air strikes on these forces were centered on a mountaintop area and a nearby Special Forces base. Saudi government officials did not respond to these allegations. Earlier, on May 27, an estimated 40 people, the majority civilians, were reported killed during fighting between Ansurallah and Saudi military units along the border. Local fighters working with the Houthis have been engaging Saudi ground forces in the area and also taking the war into the Saudi kingdom. Saudi Arabia is a theocratic monarchy in which Sunni Islam is the official state religion. Bombings have continued against Shiite mosques in eastern Saudi Arabia. On May 29 during prayers a car bomb exploded at the entrance to one such mosque in Dammam. News reports said the bombing of the al-Anoud mosque resulted in 21 people killed and 120 others injured, in what is described as the most violent of such attacks in Saudi Arabia in years. Just one week earlier, a similar attack took place in Qatif. For over two months, the Pentagon and the CIA have been supplying war materials and reconnaissance information to the Saudi-GCC forces in their bombing and ground campaign against Yemen. The U.S. and its Saudi-GCC allies view the war as an effort to contain and lessen the influence of the Islamic Republic of Iran in the Arabian Peninsula. While Washington has been participating in talks with Tehran over its nuclear program, the administration of President Barack Obama has not altered the decades-long U.S. hostility toward Iran since its revolution of 1979. That revolution toppled the regime of Shah Reza Pahlevi, who owed his position to U.S. and British oil companies that put him in power in 1953 through a CIA-directed coup.